Sony Online Entertainment President John Smedley says Everquest 2 is doing ever so well for itself as a free-to-play game. 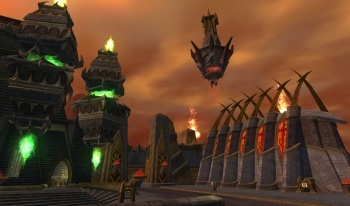 Did you know that Everquest 2 went free-to-play in December 2011? I had no idea. Everquest 2 Producer Dave Georgeson made a pretty lengthy announcement about the changeover back in November but I guess I wasn't paying attention. In any event, it happened, the game is now available as a fairly standard free-to-play MMO and according to Smedley, things are going very well. "We are seeing some amazing growth in EQ2. 40% increase in daily logins since going f2p. 300% increase in new players," Smedley tweeted earlier today. "And 200% increase in Item sales. Plus we have added a lot of new subs," he added. "All during the time that some really good competition hit the market." It's not terribly surprising to see an MMO get a big boost out of a free-to-play transition - I can't think of any big MMO that didn't experience an upsurge after making the switch - and the real question is how it will hold up in the long run. Smedley indicated in September 2011 that he thinks the future is free-to-play, saying that BioWare's The Old Republic - the "really good competition" he referred to on Twitter - will be the last major MMO to make use of the monthly subscription-based payment model. A third Everquest MMO was confirmed as in the works in August 2010 but as Eurogamer pointed out, Sony Online Entertainment had a rough go of things in 2011, which could delay the game's development.